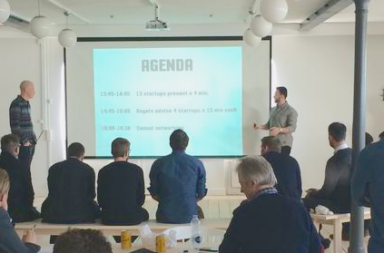 Accelerace has just selected 15 of the most promising and ambitious startup companies on the Danish entrepreneur scene for a 5-month, intensive accelerator program. With a team of experienced entrepreneurs and business developers, Accelerace offers customized expertise, investments, and networks to help start-ups succeed through a 5-month customer driven accelerator program. Accelerace is also dedicated to developing and sharing knowledge on best practices in entrepreneurship. Accelerace is a somewhat different accelerator. It takes no equity in the startups, and provides instead counseling and mentoring, as well a wide network. It also gives the opportunity of a follow-up investment in the range of € 50 000 – 400 000. The terms can be found here. It is targets at startups who have a product which is on the market, or less than 12 months from the market. Since 2008, Accelerace has spotted, trained and invested in more than 200 start-ups and spin-off companies, generating more than 400 jobs and a start-up survival rate of more than 94%, and that have raised a total of € 72 million in funding so far. Some of the previous participants include Templafy, Kirkeweb, Abeo, Me-Mover, Conferize, GraduateLand, Queue-it. More recent startups are Penneo, who won the best company award at Accelerace Investor Day 2014, and Magick and Coinify who tied for best pitch of the day. 15 Øresund startups on the Red Herring Europe Top 100! Major League Wizardry selected top ten for Global Game Stars!